Large Capacity: Size: 25*16*40cm / 9.84*6.3*15.74inchs. 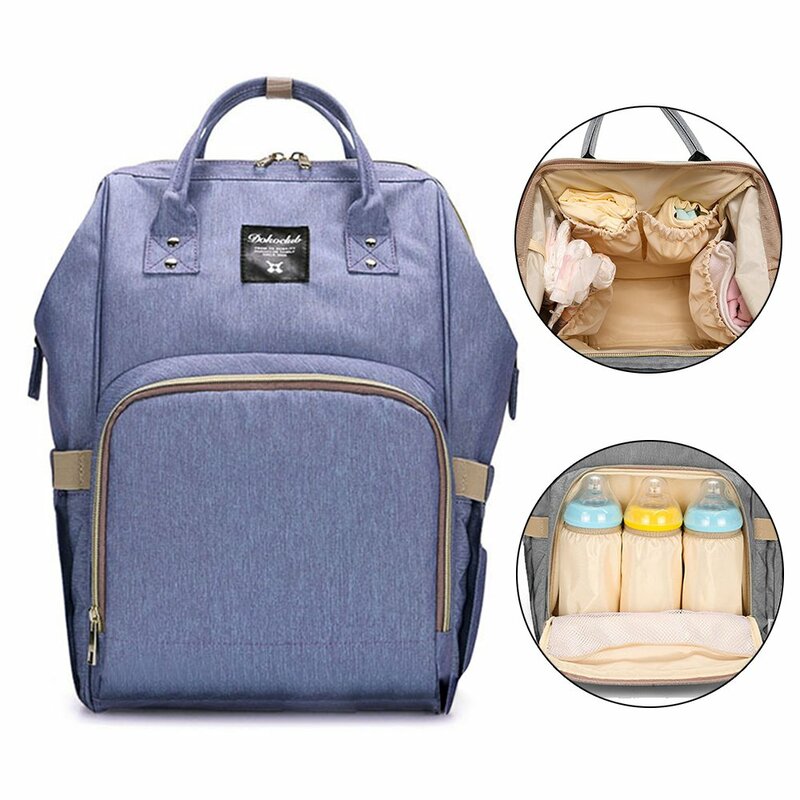 Smart organizer system features separate storage pockets, you can take in the milk bottle, water bottle, baby clothes, baby diaper, towel so on in different separate pockets. Durable: Made of high quality canvas. Water resistant environmental fabric and easy to wipe clean. Convenient zipper closure and adjustable strap. Padded back panel and padded adjustable mesh shoulder straps that make it really easy and comfortable for you to carry. Multi-Function: Easy to carry and you can use it as for a handbag, shoulder bag, backpack, attach to luggage. It is very elegant and suitable for many occasion like shopping, restaurant, traveling etc. Great for a wedding gift, baby shower gift, business gift, holiday gift.